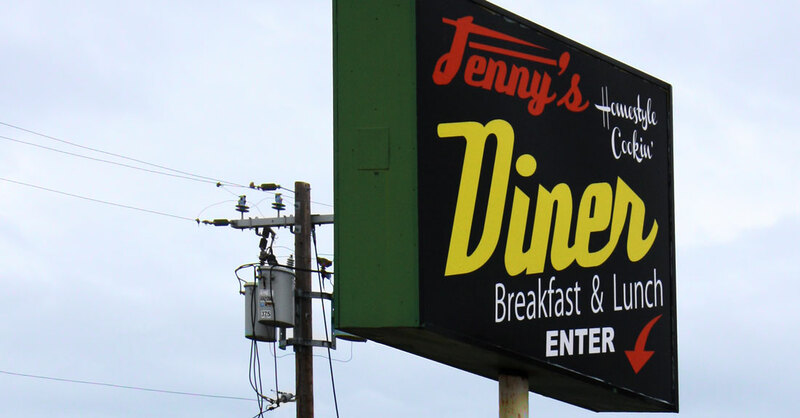 Jenny’s Diner, formerly a Denny’s Restaurant, was designed by the Los Angeles architectural firm Armet & Davis, who developed this prototype for the chain in 1958. 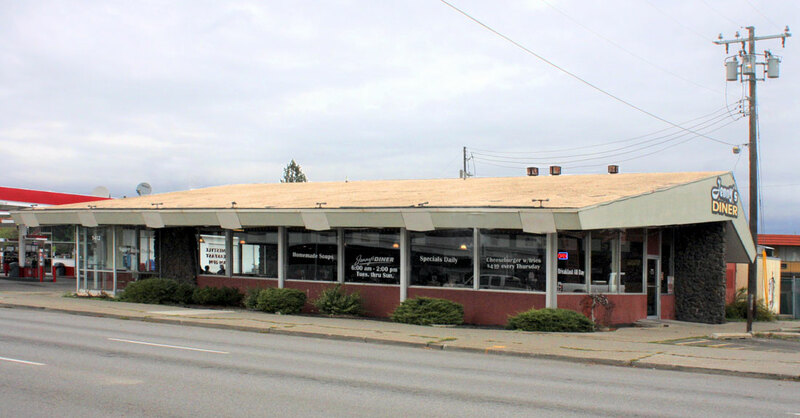 Its distinctive boomerang roof can be seen on a number of Denny’s buildings throughout the west, some still housing a Denny’s restaurant, some occupied by independent restaurants or put to other uses. 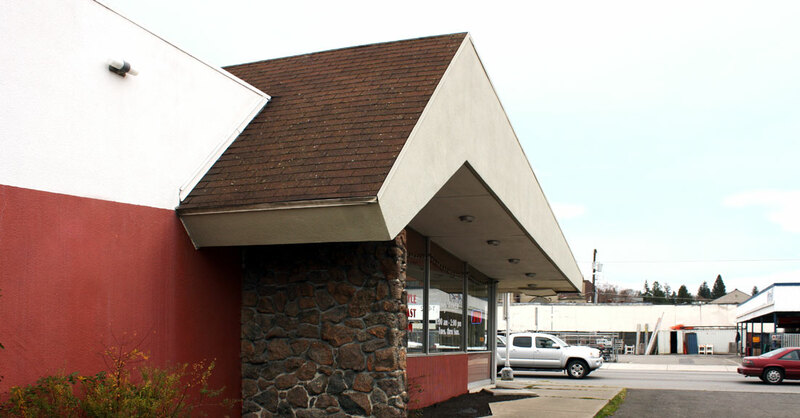 Formed in 1947, Armet & Davis was one of the most important practitioners of Googie architecture, named for the Googie coffee shop in Los Angeles designed by John Lautner. 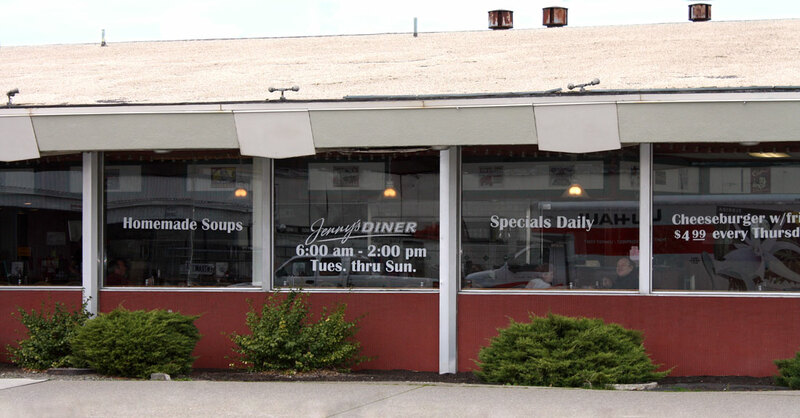 The style is known for its eye-catching forms and signs designed to be viewed at the speed of automobile travel. Googie emerged in the 1930s in Los Angeles, Las Vegas, and other tourist venues around the country that catered to automobile travelers, and where commercial development was popping up along commercial corridors and highways. 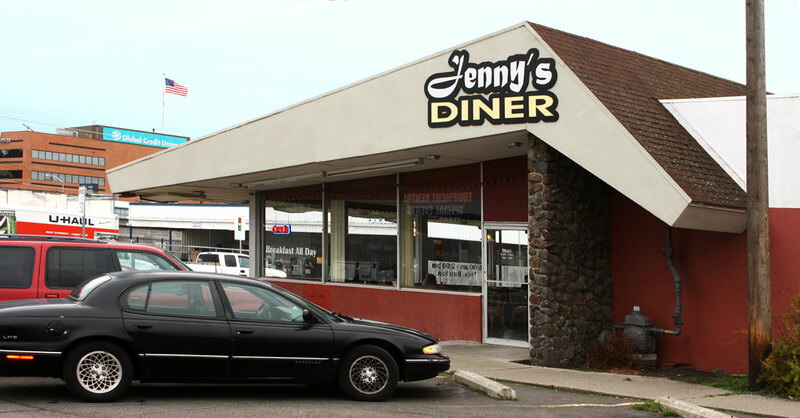 It’s most often seen in restaurants and drive-ins, gas stations, and car dealerships. 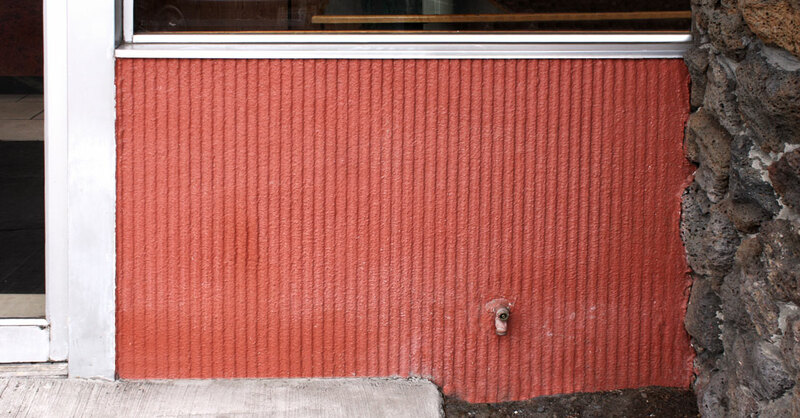 While Louis Armet and Eldon Davis were responsible for a number of LA’s most innovative post-war commercial buildings, it’s their restaurants and coffee shops they’re most known for, many of which were widely criticized by their architectural contemporaries. 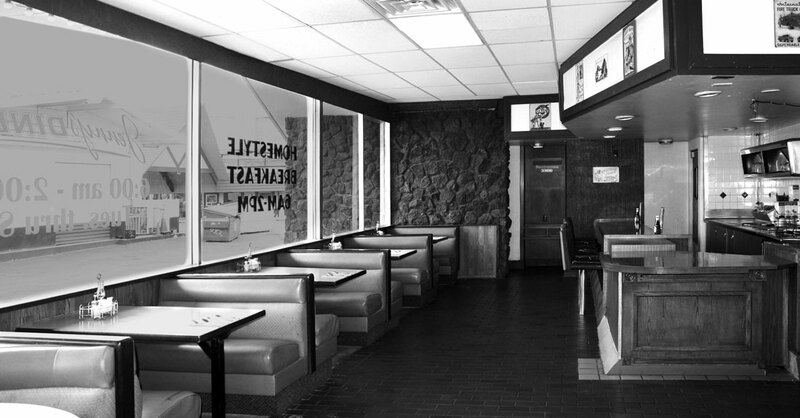 Their prototype work for a number of restaurant chains was used to develop those restaurants throughout the U.S. and abroad – work that garners not only international acclaim today, but also recognition from the Los Angeles Conservancy, the Fullerton Art Museum, and the Los Angeles County Museum of Art.